For soldiers in the 101st Airborne Division, the road to Baghdad began with a midnight flight out of Fort Campbell, Kentucky, in late February 2003. 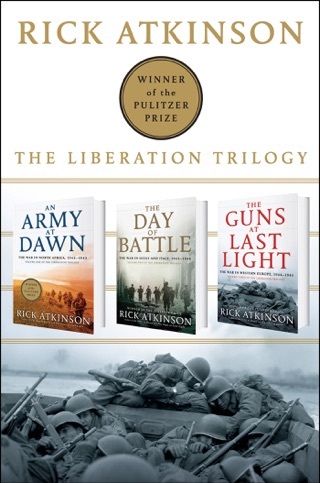 For Rick Atkinson, who would spend nearly two months covering the division for The Washington Post, the war in Iraq provided a unique opportunity to observe today's U.S. Army in combat. 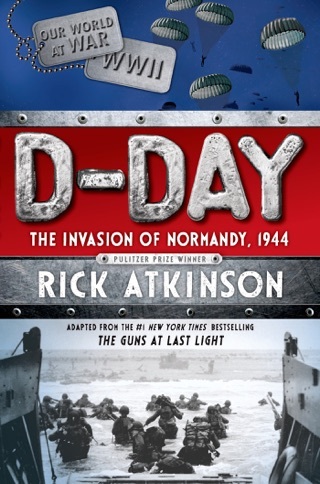 Now, in this extraordinary account of his odyssey with the 101st, Atkinson presents an intimate and revealing portrait of the soldiers who fight the expeditionary wars that have become the hallmark of our age. At the center of Atkinson's drama stands the compelling figure of Major General David H. Petraeus, described by one comrade as "the most competitive man on the planet." Atkinson spent virtually all day every day at Petraeus's elbow in Iraq, where he had an unobstructed view of the stresses, anxieties, and large joys of commanding 17,000 soldiers in combat. Atkinson watches Petraeus wrestle with innumerable tactical conundrums and direct several intense firefights; he watches him teach, goad, and lead his troops and his subordinate commanders. And all around Petraeus, we see the men and women of a storied division grapple with the challenges of waging war in an unspeakably harsh environment. 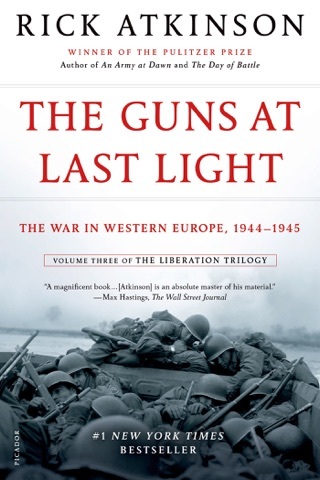 With the eye of a master storyteller, the premier military historian of his generation puts us right on the battlefield. 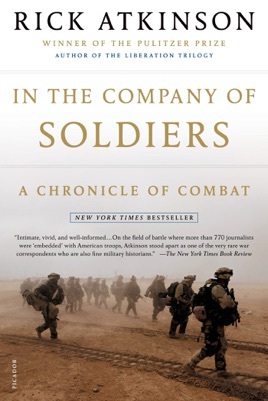 In the Company of Soldiers is a compelling, utterly fresh view of the modern American soldier in action. 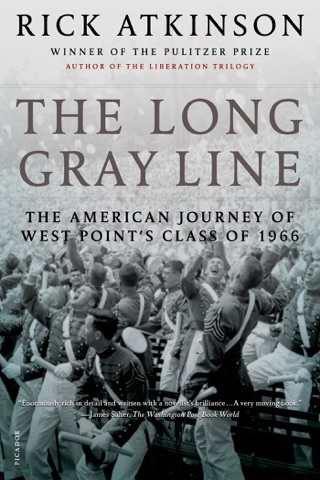 A Pulitzer-winning Washington Post correspondent and military historian gives the best account yet to come out of the Iraq War, chronicling the unit in which the author was embedded, the 101st Airborne, or Screaming Eagles, and particularly its headquarters. This inevitably puts much emphasis on the division commander, the intense, competitive and thoroughly professional Maj. Gen. David Petraeus. But no one is left out, from General Wallace, the gifted corps commander, to a Muslim convert and the victims of his ghastly but little publicized fragging incident at the opening of the war. 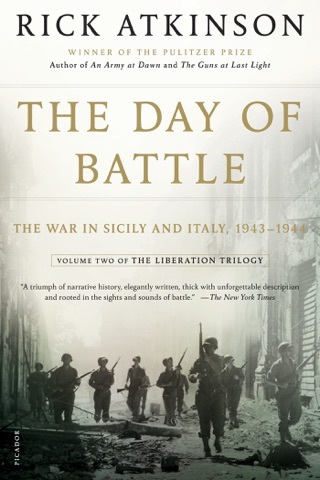 The narrative covers this large cast from the division's being called up for the war at Fort Campbell, Ky., through to the author's departure from the unit after the fall of Baghdad. Through the eyes of the men he associated with, we see excess loads of personal gear being lugged into Iraq and insufficient supplies of essentials like ammunition and water (the reason for the infamous "pause"). We see sandstorms and the limitations of the Apache attack helicopter, and understand the legal framework for avoiding civilian casualties and "collateral damage," and much else that went right or wrong in a manner that is antitriumphalist, but not antimilitary. 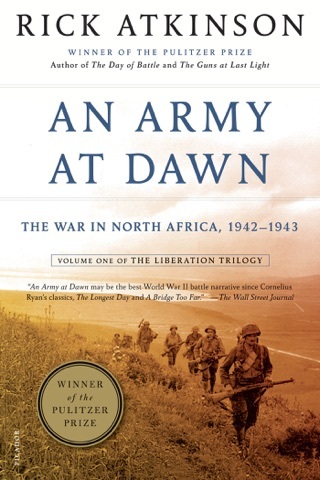 The son of an army officer and thoroughly up to date on the modern American army, the author pays an eloquent and incisive tribute to how the men and women of the 101st won their part of the war in Iraq, in a manner that bears comparison to his Pulitzer-winning WWII volume, An Army at Dawn. Superb writing and balance make this the account to beat. $150,000 ad/promo; author tour.